Nobu Condos Residences is a new condo project at 15 Mercer St (King &John) in Downtown Toronto Entertainment District, Nobu Condos will be developed by Madison Homes.Squared-off U-shaped 49-storey tower in Toronto’s Entertainment District with a design by Teeple Architects for Madison Homes. 718 condominium suites and a 102-room hotel. Close to Rogers Centre and Entertainment District. 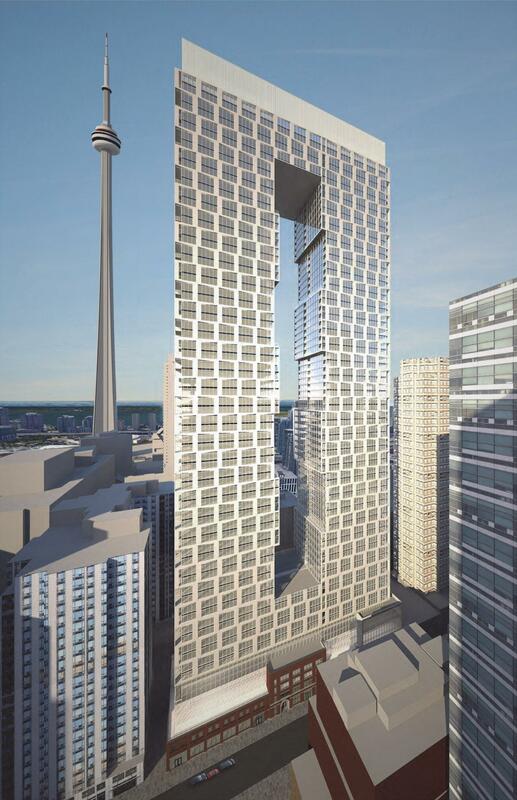 Nobu Condos will be a 49-storey residential mixed-use building with total of 718 units. Uniquely designed by Teeple Architechs, Nobu Residences brings elegance, zeal and excitement to the Downtown Toronto area. Nobu Residences has a Perfect Walk Score of 99 out of 100. Perfect transit Score of 100 out of 100. Nobu Residences Condos Step to the TTC Street Car Stop, 2 Mins walk to the St. Andrew subway station. It location in the Waterfront Communities-The Island neighborhood in Toronto. Nearby parks include Simcoe Park, Clarence Square and St. Patrick’s Square. From 300 sq. ft. To 2000 sq. ft.